The Soil and Terrain database for Argentina primary data (version 1.0), at scale 1:1 million (SOTER_Argentina), was compiled of enhanced soil information within the framework of the FAO's program Land Degradation Assessment in Drylands (LADA). 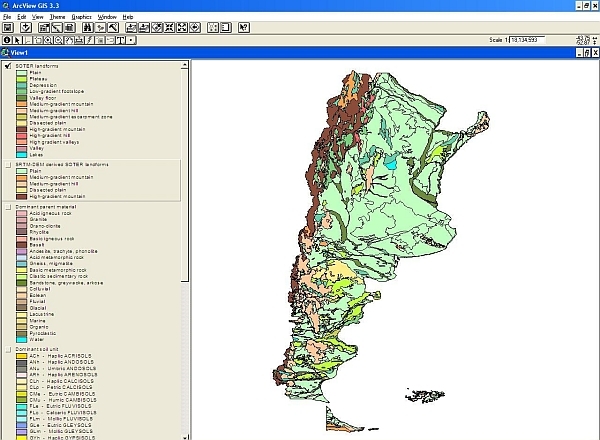 Primary soil and terrain data for Argentina were obtained from the SOTERLAC database (ver. 2) at scale 1:5 million. This update includes considerable changes in the GIS file, based on the SRTM-DEM derived surface information and on INTA's digital soil map (Instituto de Suelos), and only few changes of the attributes database. ee206a45-4337-4008-8d74-d737b65ba3f0 Access to the portal Read here the full details and access to the data.